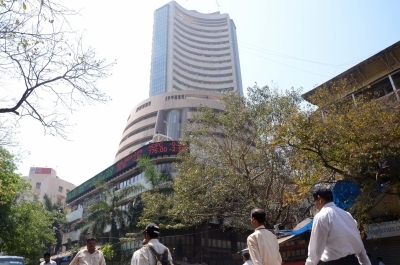 Mumbai, April 16 (IANS) Major Indian indices -- Sensex and Nifty -- closed at their highest-ever on Tuesday riding strong and sustained foreign fund inflows and bets of yet another rate cut over a near-normal monsoon forecast. Both indices touched their all-time highs -- Sensex at 39,364.34 and Nifty 11,810.95 -- during the early trade and mostly held on to the gains throughout the day, led primarily by banking stocks, though closed slightly lower from the peaks. Jet Airways witnessed a steep decline and closed 7.62 per cent lower as the struggling-to-stay-afloat airline awaits operational funding from the lenders. However, Jet's competitor like Indigo marched higher to end 7.35 per cent up.